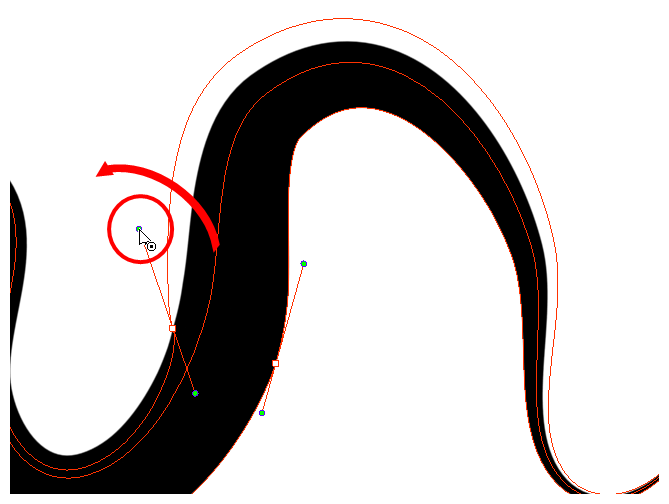 You can use the Pencil Editor tool to reshape the pencil line thickness. In the Tools toolbar, select the Pencil Editor tool. In the Camera or Drawing view, select a pencil line and click to reshape it. Select one or several points by clicking them or circling around. Press Del to delete a selected point. Press Ctrl (Windows/Linux) or ⌘ (macOS) and click the central spine to add a set of points to adjust the contour. Move the selected points to a new area. If you select matching points on each side of the line, holding the Shift key will move them both. This way you can thicken or thin a line from both sides at the same time. 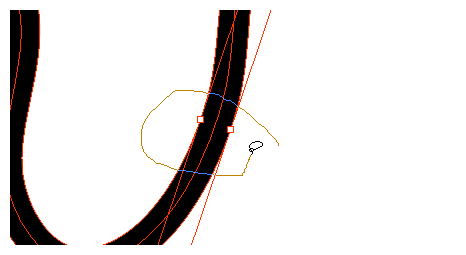 Pull on the Bezier handle to move both points’ handles as one. 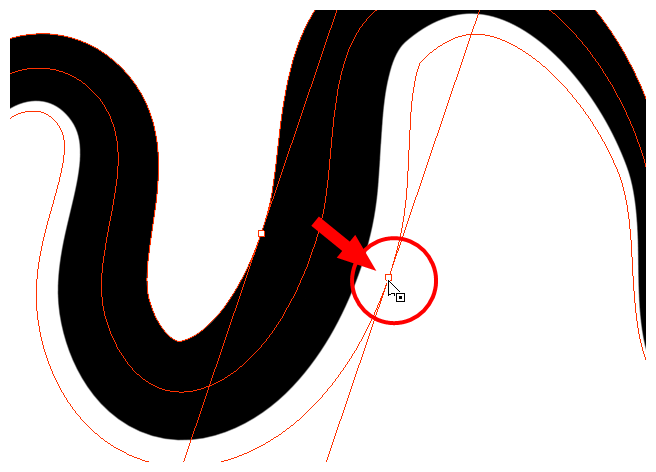 Hold down Alt and pull on one of the Bezier handles. It moves the handle independently from the other one. Pull directly on the line between two points. No selection is necessary. 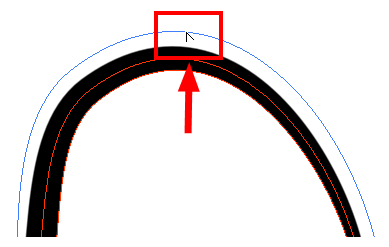 Holding down the Shift key will limit the contour modification to the curve between the two first points. 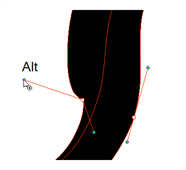 If an anchor point has no visible Bezier handle, hold down Alt to display them.